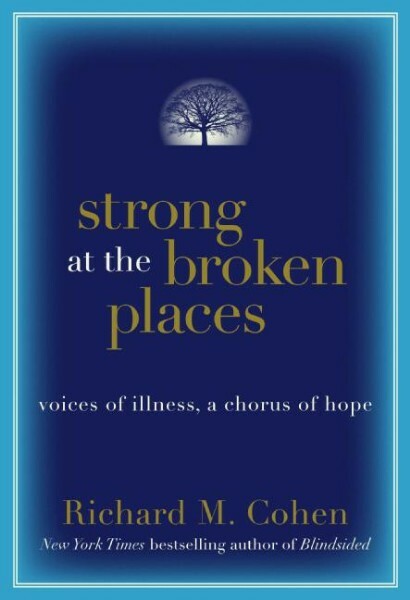 Richard M. Cohen is an award-winning broadcast journalist and author of the New York Times best-sellers Strong at the Broken Places: Voices of Illness, A Chorus of Hope and Blindsided: Lifting a Life Above Illness. Strong at the Broken Places chronicles a year in the lives of five diverse individuals with chronic illnesses, offering an honest and inspirational perspective on life with incurable disease. Blindsided is his memoir of coping with serious chronic illness in which he describes his lifelong struggle with multiple sclerosis, his first bout with colon cancer, a loving marriage to Meredith Viera, the effect of illness on raising children, and the nature of denial and resilience, all told with grace and humor. He speaks frequently about coping with chronic illness with humor, grace, and courage. Cohen’s books follow his 25-year career as a network television news producer. He began his career at the ABC News Washington Bureau in 1971 as the assistant producer of Issues and Answers and associate producer of Watergate coverage. He later joined The MacNeil/Lehrer Report on public television. Cohen was a producer on the CBS Evening News with Walter Cronkite, serving as Dan Rather’s producer when Rather assumed the anchor chair in 1981. At CBS News, Cohen covered the rise of the Solidarity movement in Poland and wars in the Middle East and Central America and went on to assume the position of senior producer of politics, managing CBS News coverage of the 1984 and 1988 presidential campaigns. Cohen traveled to China with President Reagan in 1984. Cohen went back to PBS in 1989, joining Bill Moyers to produce and direct Illusions of News, an award-winning documentary about the press. Cohen joined CNN in 1992, covering the election of Bill Clinton and producing the award-winning documentary, Bill Clinton of Arkansas. In 1970, Cohen earned his BA from Simpson College and in 1976, an MS in journalism from Columbia University. In 1985, Cohen was honored as a Fellow of the Institute of Politics at Harvard University. In 2005, he was awarded a Doctor of Humane Letters degree from Simpson College. 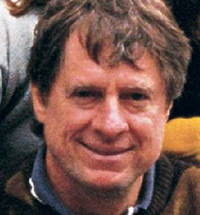 Cohen has won numerous awards in journalism, including three Emmys and a John Foster Peabody. He lives in New York City with his wife, Today Show host Meredith Vieira, and their three children.